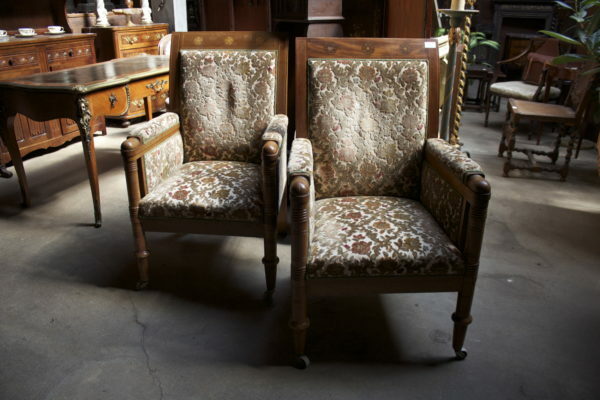 Beautiful pair of side chairs or accent chairs. 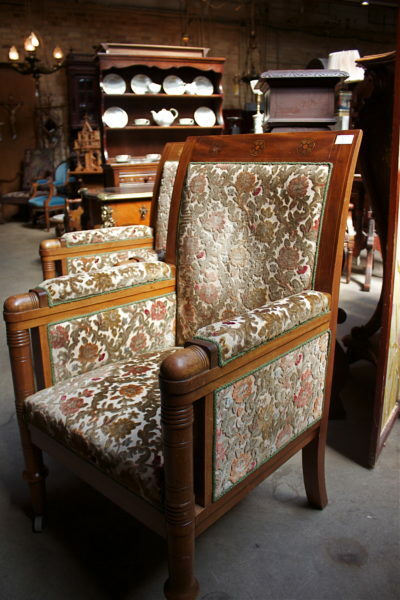 Chairs are in fantastic condition, with wood inlay across the top back. 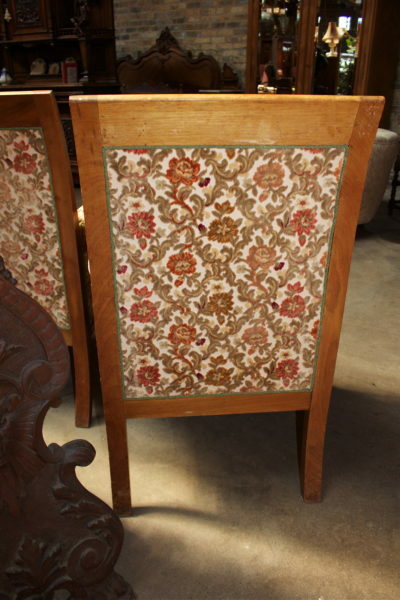 The fabric is plush and soft. 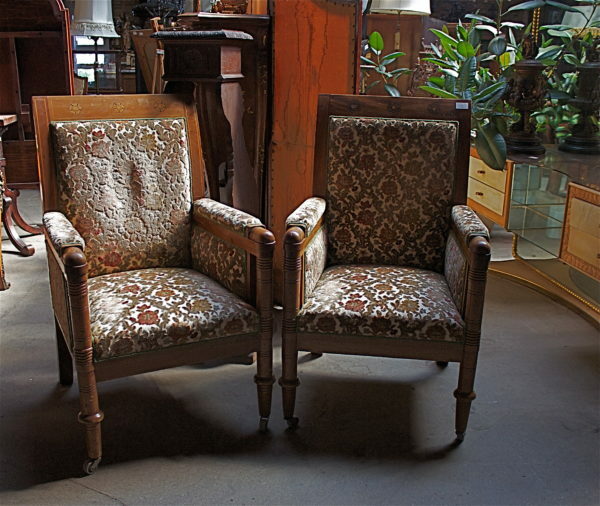 We bought these in Denmark and they are over 130 years old.